Purpose (2006) reveals just how important values are for strong leadership in the 21st century. 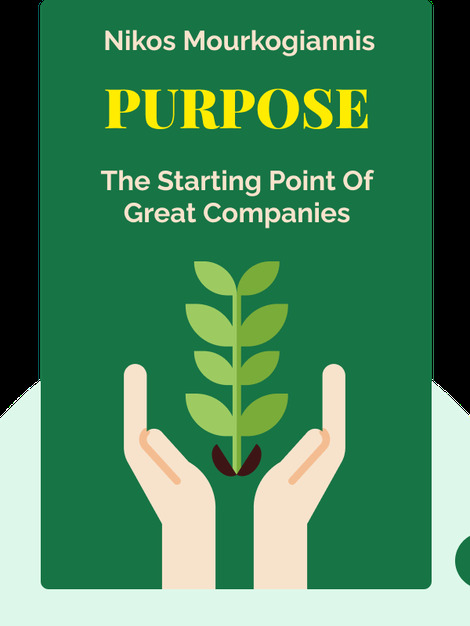 These blinks explain the four different forms of purpose that will allow you and your business to thrive, from their ethical underpinnings to their successful use by today’s most influential leaders. Nikos Mourkogiannis is an internationally renowned thought leader and a senior partner at the elite consultancy Panthea, where he has provided expert advice to CEOs from around the world. Mourkogiannis has also held influential positions as the chairman of several world-class companies and was previously Executive Advisor for Leadership at global consultancy group Booz Allen Hamilton.